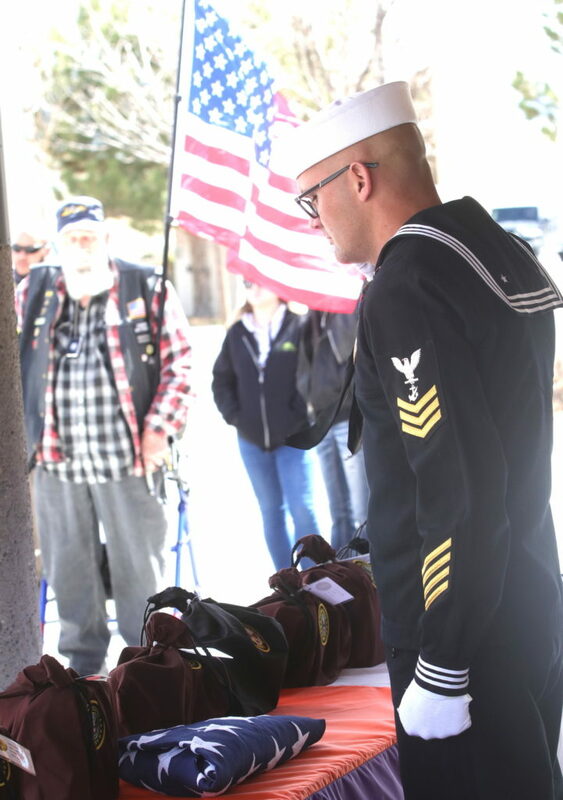 Gary Parisena, who is accompanied by Pamela DuPré, holds a U.S. flag that has been presented to him on behalf of his father, a U.S. Navy veteran who was interred Friday at the Northern Nevada Veterans Memorial Cemetery as part of the Missing in Nevada project. Life aboard an aircraft carrier in the South Pacific provided its own grueling battle of survival, especially during the last two years of World War II, when Japanese pilots and soldiers ramped up their attack on the approaching Americans. U.S. naval forces sailed from island to island, staging both ships and aircraft in bringing the continual fight to the formidable Japanese armada of ships and planes. During the latter stages of the war, Japanese pilots ramped up their kamikaze attacks, particularly against American aircraft carriers that prowled the South Pacific as allied forces drove toward Japan and an all-out attack on Tokyo. 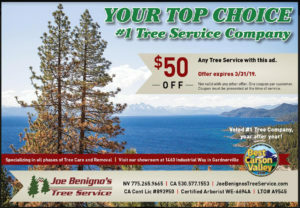 Reno sailor Pete Parisena had a front seat to war, serving aboard an aircraft carrier as a gunner. Even after the war officially ended on Sept. 2, 1945, and until his death in 1988, Parisena never talked about the war with his family or friends, never revealing his assigned carrier’s name or his overall experiences. 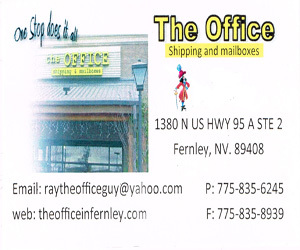 “He told a couple generic stories, but he said he saw some horrific things,” said his son Gary Parisena, also of Reno. 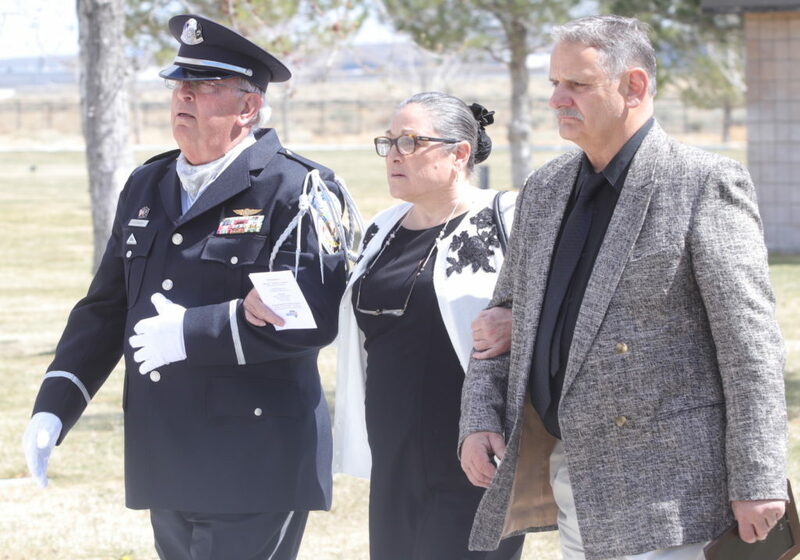 Master Chief Jerry Finley of the Nevada Veterans Coalition escorts Pamela DuPré and Gary Parisena to the columbarium wall. Parisena, who gave his father at a long, overdue goodbye Friday, remembers him as a valiant sailor who served in the Navy for three years. 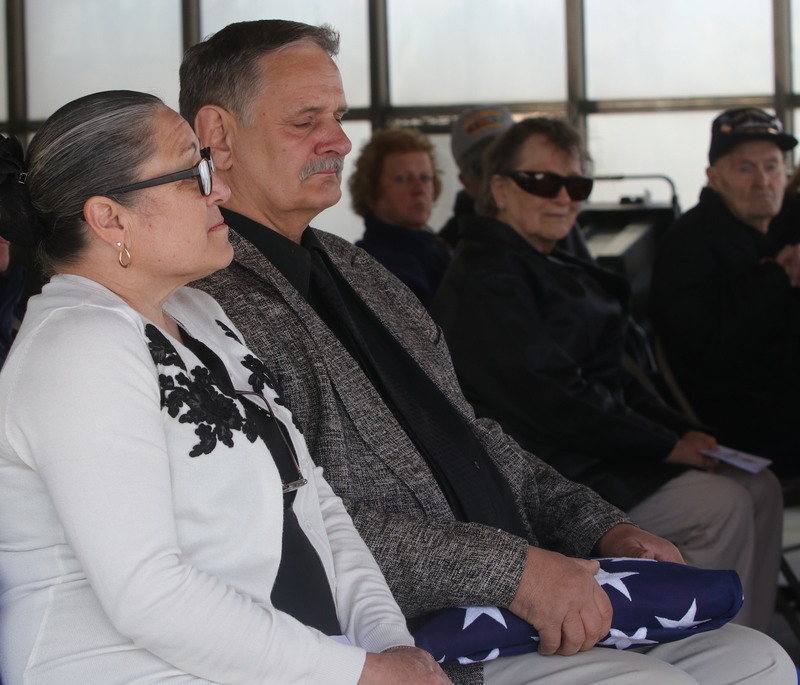 Thirty-one years after his death, Parisena, along with 14 other veterans, were eulogized Friday for their sacrifices to a grateful nation before their remains were interred in the columbarium at the Northern Nevada Veterans Memorial Cemetery in Fernley. 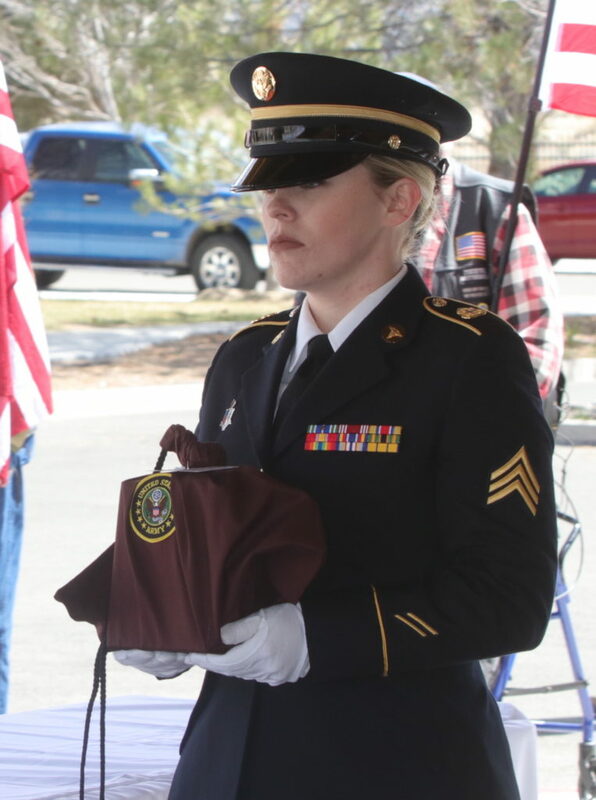 AC2 Megan Poirier from Naval Air Station Fallon places a veteran’s urn into the columbarium on Friday at the Northern Nevada Veterans Memorial Cemetery. Pete Parisena, who was born in 1925 in Bordeaux, France, emigrated from Europe to the United States in 1930 with his mother and brother as they looked for better opportunities during post-World War I. Eventually, they received American citizenship. Around the corner, Gary said, was one of their favorite restaurants, the Santa Fe, which served Basque food in a family-style setting. Two years after the United States entered World War II, though, Gary’s father enlisted in the Navy. Once he returned to Reno after leaving the service in December 1945, the sailor became a sheet metal worker employed by Ray’s Heating and Sheet Metal, a longtime family-owned firm. 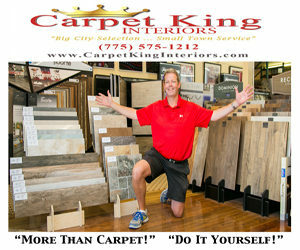 During the 1980s, though, Gary lived in the San Francisco Bay area, but the relationship with his family had grown distant. 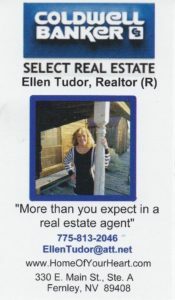 After his father died 31 years ago, his mother assured him his father would be afforded the proper services. Not until earlier this month did Gary Parisena realize his father’s remains had not been interred. 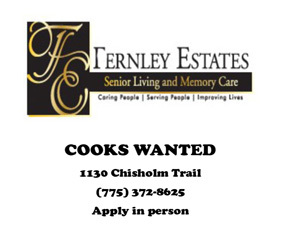 He saw an article announcing a military service for 15 veterans whose remains had remained unclaimed but were still in possession of a local mortuary. 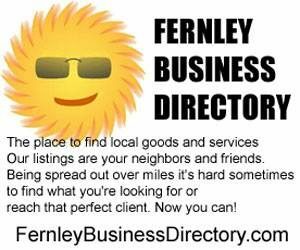 As Gary skimmed the list, he stopped, stunned. 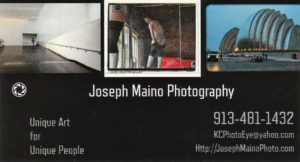 There, on line 12, was his father’s name along with his years of service. 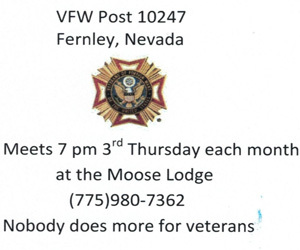 Lynda Freeman, a volunteer with the Nevada Veterans Coalition, works with local mortuaries to arrange for remains to be transported to the NNVMC for a proper military service and burial. 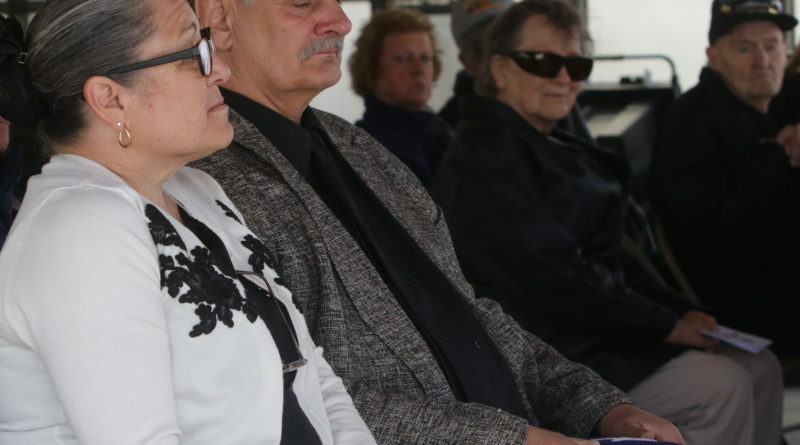 During most Missing in Nevada ceremonies, no family members have attended. Tom Draughon of the NVC, who presided over the remembrance, said the military service was unique because Gary Parisena received a folded U.S. flag on behalf of his father and the other 14 veterans. “It doesn’t happen very often, but it’s nice when it does,” Draughon said. 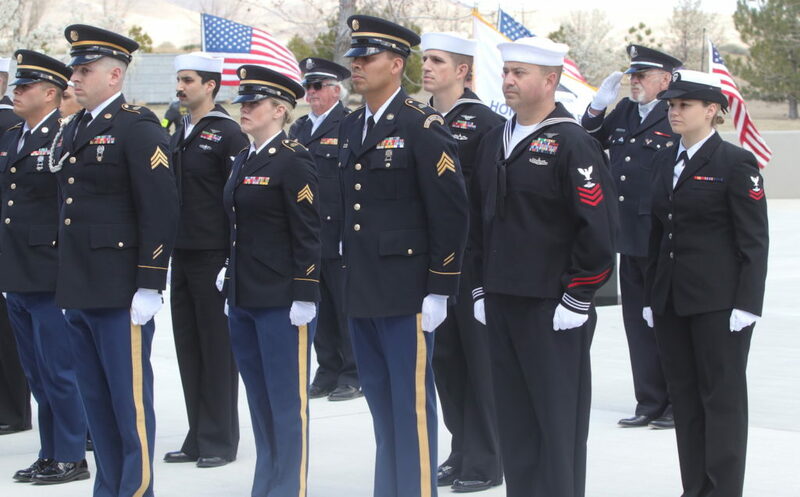 Five soldiers from the Nevada Army National Guard and seven sailors from Naval Air Station Fallon serve as volunteers at Friday’s military service at the Northern Nevada Veterans Memorial Cemetery. During the service, Draughon offered words of condolence and inspiration, while the ceremonial team fired a 3-volley salute and buglers played taps. 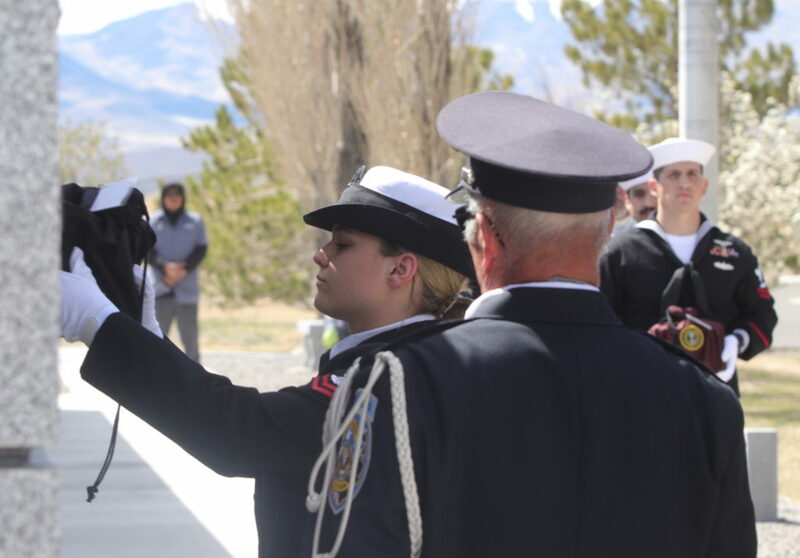 Draughon said five Nevada Army National Guardsmen and seven sailors from Naval Air Station Fallon, along with members of the NVC, carried urns to place at a table or the ceremony and then proceeded afterward the urns to the columbarium the final resting place. 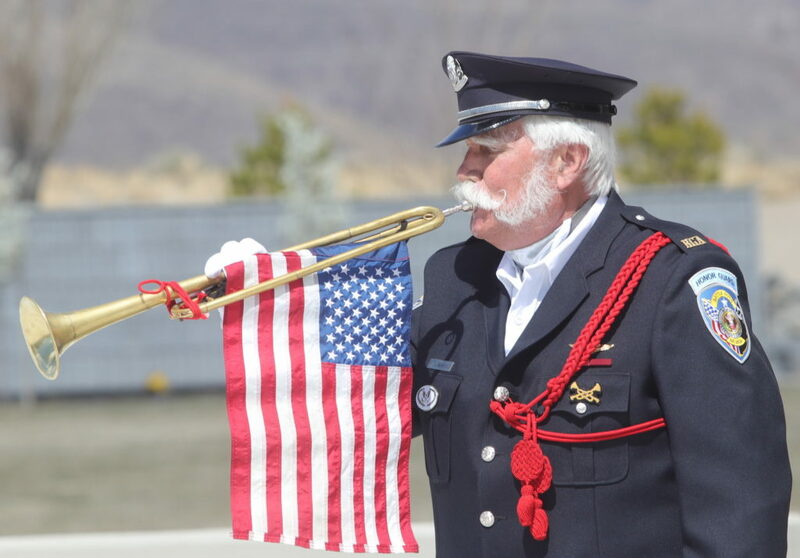 Ray Ahrnholtz of the Nevada Veterans Coalition plays Taps. After the interment at the columbarium, Gary Parisena, who was accompanied by his friend Pamela DuPré, placed a family portrait of his father on a shelf in front of the urn. 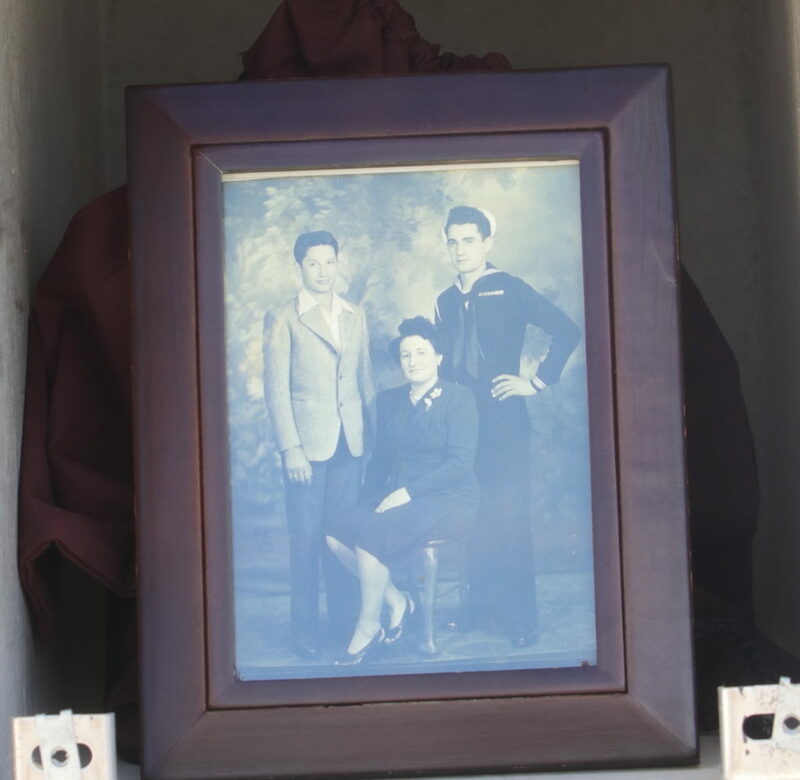 Gary Pariesena placed a photo of his father, brother and mother in front of his father’s urn in the columbarium wall. Draughon said the service had the right amount of respect. “I talked to Gary afterward, and he was emotional but very thankful,” Draughon added. Nevada Army National Guard Sgt. Shanae Austin carries a veteran’s urn. NC1 Cody Stringer from Naval Air Station Fallon salutes the U.S. flag after placing it in. front of 15 urns. Harold Peterson, (1931-1990), U.S. Air Force, Nov. 1949 – Sept. 1953, WWII.